We already discussed about automobile engine in our previous post. Now we will discuss about 2-stroke and 4-stroke engine in detail along with their basic differences in this post.Normally 2-stroke and 4-stroke both engine performs suction , compression, power and exhaust strokes.So,now lets discuss about this strokes in 2-stroke engine. It is the initial stage of an engine. when we start the engine and mesh the gears suction stroke is performed by engine. In suction stroke piston moves T.D.C (top dead center) to B.D.C (bottom dead center). In that position fuel enters in combustion chamber.This is the small chamber where fuel burns.After this moment crank shaft rotates 0 to 90 degree.In this stroke inlet port remains open and outlet port becomes close.The entire process done by piston surface only.After this process compression stroke begins. 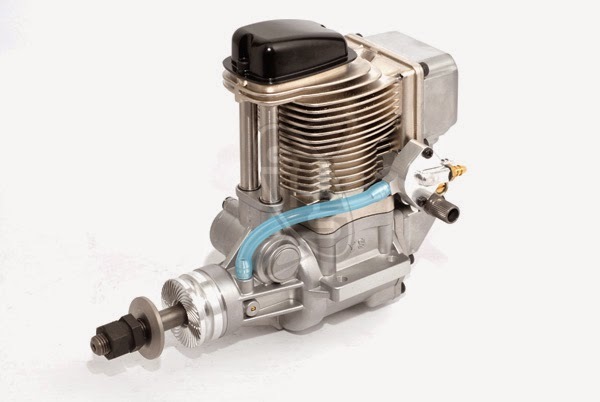 In this stroke piston moves B.D.C to T.D.C and fuel is compressed by piston top surface.In this stroke crank shaft rotates 90 to 180 degree.The stroke inlet and outlet both port remains close.In 2-stroke engine suction and compression both stroke performs together.. In this stroke piston moves T.D.C to B.D.C again.and crank shaft rotates 180 to 270 degree.Here stroke inlet and outlet both port remains close. In that stroke spark plug gives the spark to fuel and fuel burns.So it is the most important stroke of engine.Just because of this stroke engine starts. In this stroke piston moves b.d.c to t.d.c and crank shaft rotats 270 to 360 degree.in this stroke inlet port becomes close and outlet port remains open by piston side surface. in this stroke burnt fuel comes outside by outlet port in form of white smoke.actually in 2-stroke engine power and exhaust both strokes performs together. 2 – stroke engines are generally used in two wheeler and mopeds.Though currently in all vehicles we're using 4 – stroke engine. As we stated before 2 stroke and 4 stroke both engine performs same strokes.So now lets understand suction , compression , power and exhaust stroke in 4- stroke engine. In this stroke piston moves T.D.C to B.D.C and crank shaft rotates 0 to 90 degree.In this stroke inlet valve remains open and outlet valve becomes close.In 4- stroke engine valves are used instead of port.in this stroke fuel enters in to the combustion chamber via inlet manifold.It is the initial stage of 4- stroke engine.As the stroke fuel is sucked in this stage so its called suction stroke. In this stroke piston moves B.D.C to T.D.C and crank shaft rotets 90 to 180 degree.In this stroke inlet and outlet both valve remains close.In this stroke fuel is compressed by piston top surface. In 4 – stroke engine all the strokes are performed individually. In this stroke piston moves T.D.C to B.D.C and crank shaft rotets 180 to 270 degree. In this stroke inlet and outlet both valve remains close.In this stroke spark plug gives spark to burn the fuel.It is the most important stroke of engine cause due to that process engine gets start. In this stroke piston move B.D.C to T.D.C and crank shaft rotets 270 to 360 degree.In this stroke inlet valve becomes close and outlet valve remains open.In this stroke burnt fuel comes outside via outlet valve in form of white or black smoke.So this stroke called exhaust stroke. Now we are knowledgeable about 2 stroke and 4 stroke engine.As we knew that in both engine all the processes are same but there are little difference between two stroke and four stroke engine. In 2 stroke engine we use port for passing the fuel whereas in 4 stroke engine we use valves for passing the fuel. 2 stroke engine made in single cylinder it has no firing order whereas 4 stroke engine are made in multi – cylinder so this has a firing order as per cylinder used. 2- stroke engine is less efficient and more fuel consumptive whereas 4-stroke engine is more efficient and less fuel consumptive comparatively. 2 – stroke engines uses in mopeds and 2 wheelers only whereas 4 stroke engines are used in cars and other commercial vehicles. Hope now you got the basic idea about this 2-stroke and 4-stroke engine as well as there differences.If you do wish to add some more leave your point through your comments. I have a question which kinds of cars need a 2 stroke engine and which needs a 4 stroke engine? This is a good help for engine information..Thank you for sharing! It's nice to know the difference between 2 strokes and 4 strokes engines.